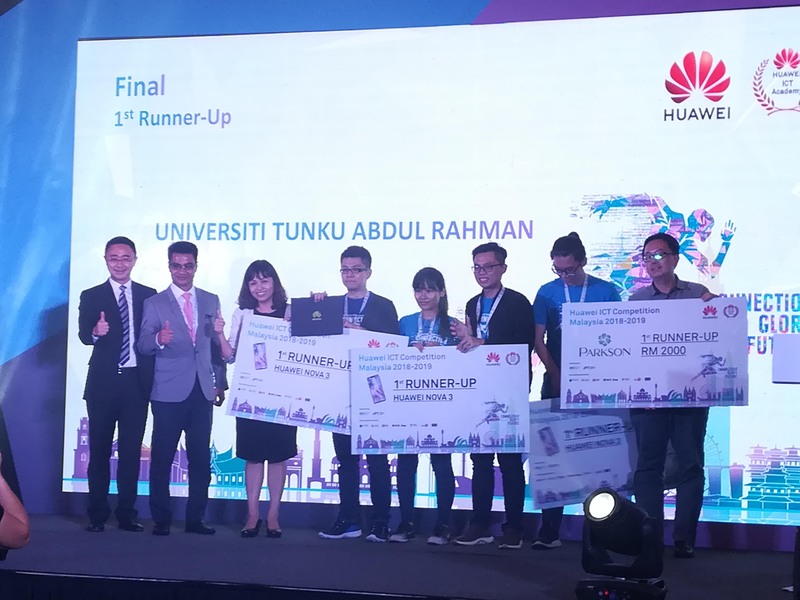 A team of three Lee Kong Chian Faculty of Engineering and Science (LKC FES) students, consisting of Chew Vee Jeng, Koe Jia Chi and Tan Yu Sheng, won the first runner-up for Huawei ICT Competition Malaysia Final 2018-2019 on 22 January 2019. They were led by their instructor Dr Tham Mau Luen. The success was secured after three hours of on-the-spot lab exam related to Routing and Switching, WLAN and Security. The announcement was made by Huawei Malaysia and the Ministry of Education (MOE) during the closing ceremony of Huawei ICT Competition. Deputy Minister of Education YB Teo Nie Ching was in attendance to present the award to the winners and officiate its closing ceremony. Also present at the ceremony were CEO of Huawei Malaysia Baker ZhouXin, Vice Chancellor of Universiti Malaysia Sabah (UMS) Prof Datuk Dr D Kamaruddin D Mudin, Deputy Director of Global Education Partner EGB (Huawei Malaysia) Danny Lin, Director Malaysia Enterprise Delivery and Service Department (Southern Pacific Region) Huawei Malaysia Shengnaiting and Director of Industrial Relations Division from Department of Higher Education Prof Ts Dr Arham Abdullah. As part of the Huawei ICT Academy initiative, the competition aimed to address the gap between talent and requirements in the industry, through working with universities in producing well-rounded and multi-skilled professionals, preparing them to join the workforce in a digitally progressing world. 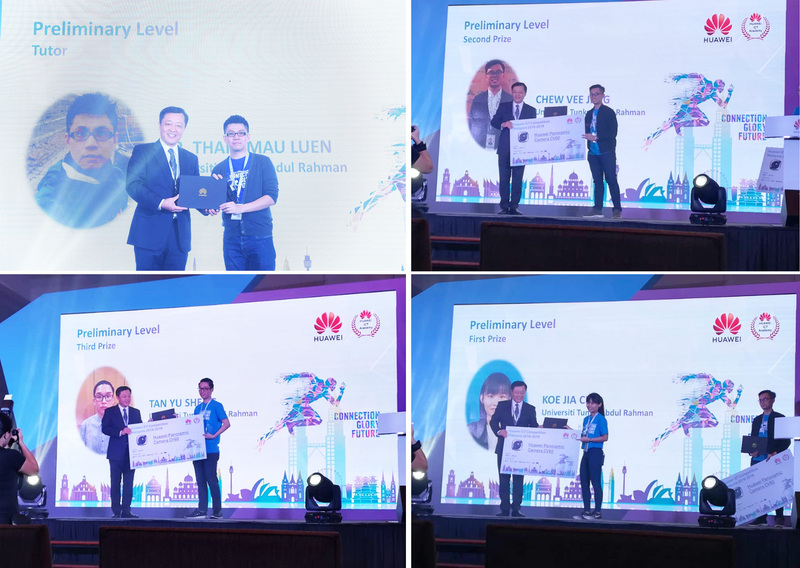 The participants of the competition earned the opportunity to gain exposure and experience the latest cutting-edge technologies in Huawei’s state-of-the-art labs, and the winning team stood a chance to represent the country in the regional phase of the competition. 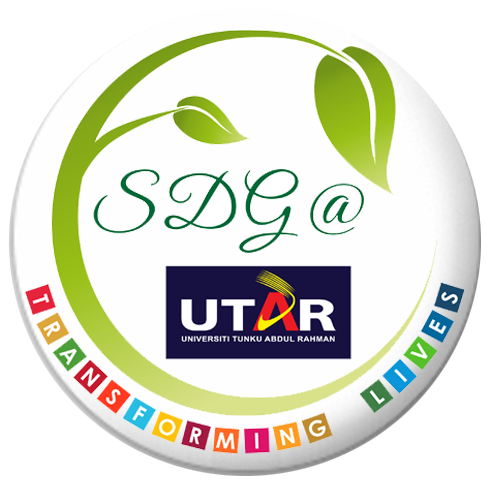 Over 200 undergraduates from seven local universities took part in the competition. Other than UTAR, the participating universities were Universiti Malaya (UM), Universiti Sains Malaysia (USM), Universiti Putra Malaysia (UPM), UMS, Universiti Tenaga Nasional (UNITEN) and Taylor’s University. Other participating countries included Singapore, Indonesia, the Philippines and Australia. UTAR has recently become Huawei Authorised Information and Network Academy (HAINA) and is offering Data Communications and Networking aligned to Huawei HNCA curriculum through Bachelor of Engineering (Honours) Electronic and Communications Engineering.